Wrote a one-minute play. Walked downtown and bought two tops. Had a chat with the store owner, who casually mentioned some trivia that would be perfect if I were secretly investigating a murder. Saving the trivia for a possible murder mystery. Went to Einstein’s, where I had a pretzel bagel and a sugar cookie. Walked back and revised the one-minute play. Went to dinner, where Chef Linda served sugar cookies for dessert, warm out of the oven. We had to wait just a moment, while she found the sprinkle sugar. 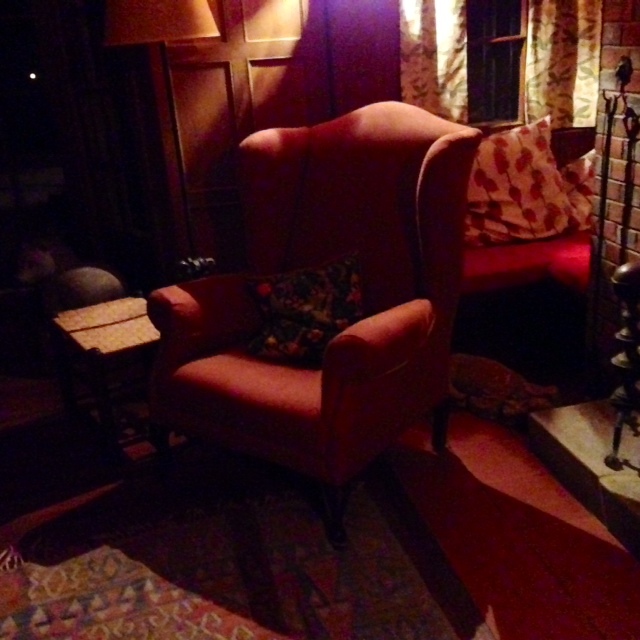 Came back, wrote another one-minute play, then went down to the dark living room and sat in a huge velvet wing-backed chair, where I read a friend’s play that I’m trying to figure out. Think I got it this time.